Industries have reached a crucial turn where it is being revamped by each passing day. Industry’s main objective is to increase productivity, with minimum possible investment, safe work environment, increased precision and efficiency. This is possible with our turn-key solution. End to End Automation Solutions with Robotics, PLC and IoT. Commissioning, installation and integration of the Robots. IoT & Predictive Maintenance Solution. Troubleshooting and maintenance training for Robot operators. Technical support and After Sales Service. Complete laboratory setup, maintenance, upgradation & renovations. We take care of everything, literally. 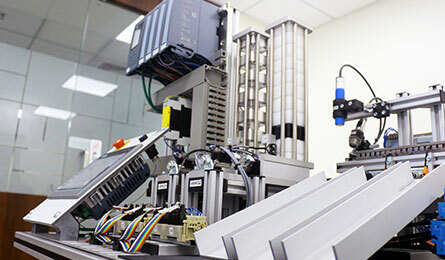 Get comprehensive training with the learning-by-doing concept, as we at SSIGMA offer fully equipped laboratory setup for Robotics and Mechatronics. 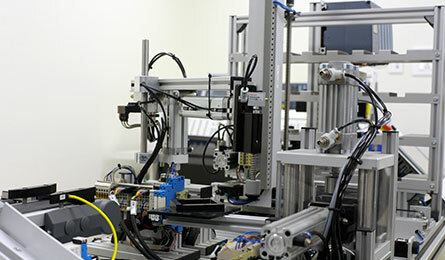 Establishing a centre of excellence for robotics and mechatronics. Training with didactics training material. Complete training on latest Mechatronic and Robotics systems.